Animal League is the world's largest no-kill animal rescue and adoption organization. 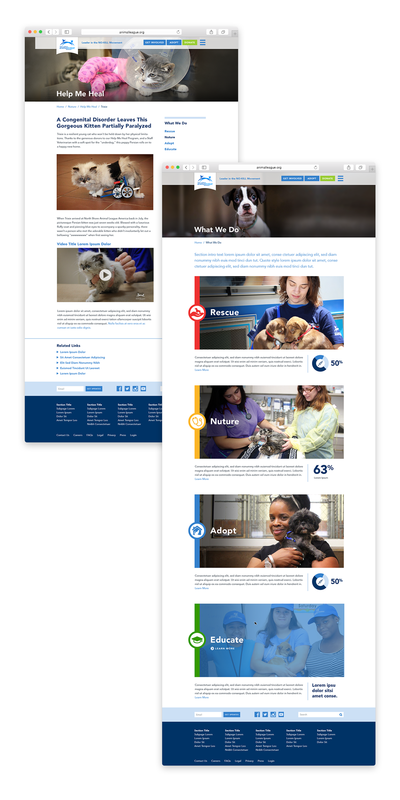 They needed a site to help guide users to take some key actions: get involved, adopt a pet, donate, and engage with their community. We employed a responsive, super-streamlined navigation, easy-easy-to-use pet search, and social media tools to gather user-generated stories on the site. View the live site.